We were delighted to receive a cut of an original OG Kush mother from the Lake Tahoe district. We thought it would be awesome to create an autoflowering OG Kush and tried many different autos to crossbreed the OG Kush to get the result we were looking for. Ultimately the NL Auto X OG Kush cross came out a clear winner. This was no surprise as both strains share ancestral roots. 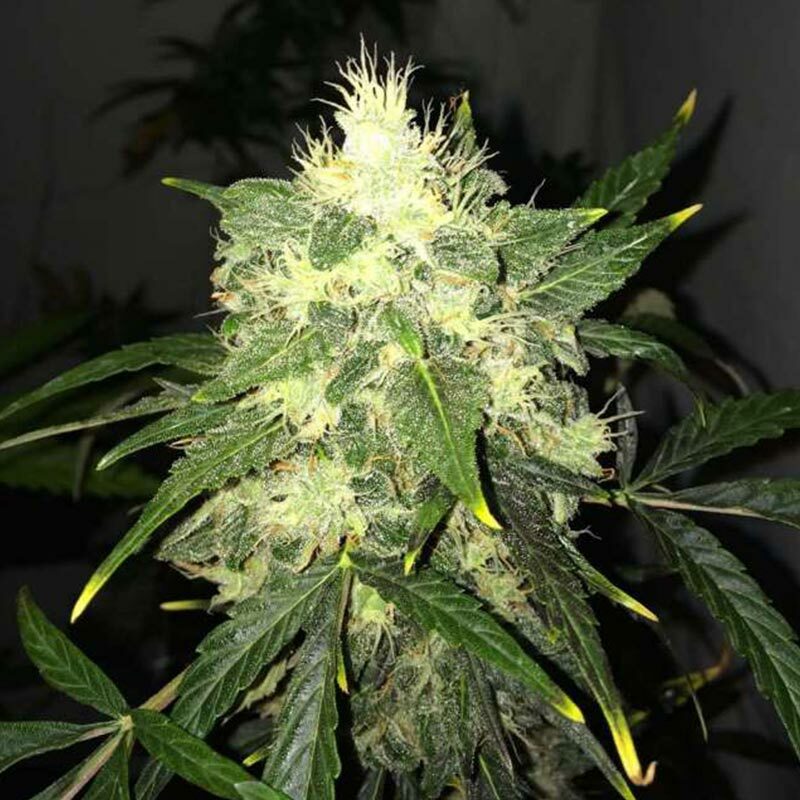 The result; an OG Kush automatic that is a big yielding autoflowering strain with impressive bud formation and trichome production. Budstructure is quite similar to your typical Kush buds. The OG Kush Automatic has a balanced high. A potent and long lasting body stone that is also quite cerebral. Her aroma offers a lovely balanced acidity with clear notes of sweet lime with a lingering hint of diesel, revealing the Chemdawg origins of the OG Kush. Barney’s Farm has crossed the famous Indica, Critical Kush with Shanti Baba’s CBD-enriched cannabis ..